Mixing business with pleasure is easy...when you know the right place and the right people. Glory Beach Resort Meetings & Events rooms are fully equipped with audio/visual equipment, free Wi-Fi internet connection in the meeting rooms and all public areas, are configurable in numerous layouts including classroom, theatre, cocktail and banquet and can accommodate up to 1000 people. 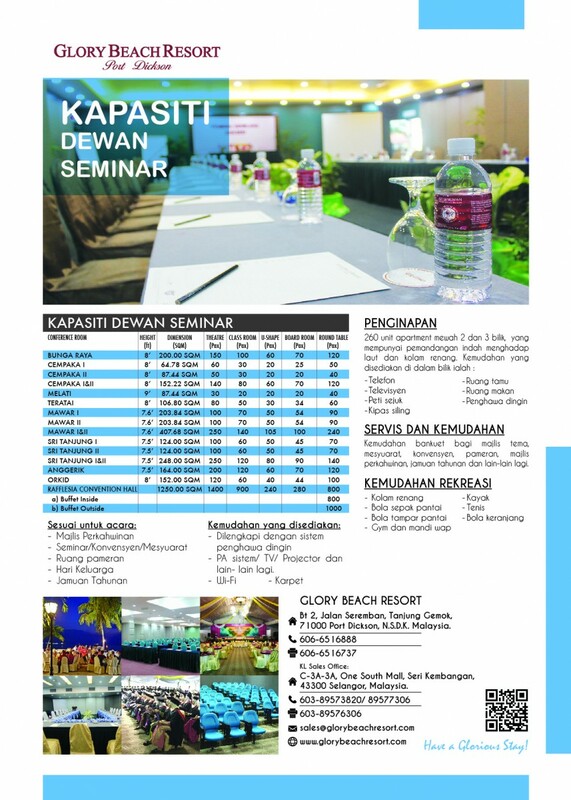 At Glory Beach Resort you will discover the ideal venue for seminars, cocktail parties or special dinners…with a choice of selected type of cuisine or theme, special lighting and staging even lets you put on a show. When you work with Glory Beach Resort experienced and imaginative banqueting staff your work becomes a pleasure. We are certain that this memorable experience will be long lasting in your memory.